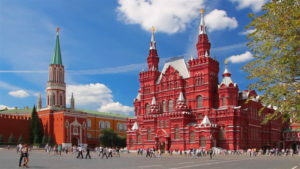 Home » Travelling to Russia » 5 Famous Place in Moscow, Where Are They in Russia? Moscow, the capital and the most populated city in across Russia making it hard to go unnoticed by travelers. It cultured cosmopolitan capital with fascinating buildings. It is a lifetime experience to immerse yourself in history to world-class music and art. Or choose to feast in fabulous delicacies, and to join the nightlife that never sleeps. Sit tight and get ready to examine the arts and grooves around to the music. Travelers can eat at a fancy restaurant. Just start to get lost in this amazing city! Check out below on 5 Famous Place in Moscow, Russia. May to June – Long daylight hours and mild temperature and you will witness locals sitting at their terraces. September – This capital city celebrate City Days, and bright oranges, reds, and yellows will fill the city’s decoration. December – Dreamy snow will cover the city, come and join the December Nights Festival. What are the Tips and Tricks at Moscow? Moscow can be overwhelming for first-time visitors. A tour can provide an overview of the city. 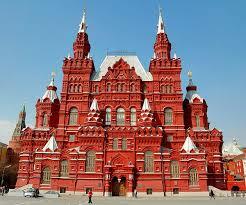 Moscow Free Tour – offers a free walking tour, led by an enthusiastic guide. For travelers with children, fret not that your children will faint of boredom. You can choose Moscow Planetarium which have high-tech interactive shows and exhibitions. Moscow Zoo offering great programmes for families. There are big cats and polar bears as we as special exhibits featuring animals from other continents. Many restaurants host children’s’ activity toys, games, entertainment. They even provide supervision. This way, the parents will have an undisturbed meal. Please also refer the other post on – 16 Type of Most Popular Cuisine in Moscow Russia. 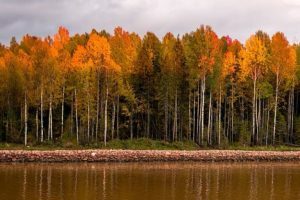 Do read on our other post before making a choice down to Moscow – Facts and History of Russian Language That You Must Know! Important Question, Where Are The Famous Place in Moscow? Kremlin is the city main fortress. Red Square is where ceremonial events are held. This ancient fortress has a history of 800 years. A true symbol of political power in Russia. You can admire the artistry of Russia’s greatest painters’ work. Travelers must be prepared to be awestruck by the towers, and domes on Red Square. Assumption Cathedral – A 14th-century iconic cathedral, oldest in Kremlin. Ivan the Great Bell Tower – Check out the electronics renderings of the Kremlin’s history. Tsar Cannon & Bell – Witness Tsar Cannon, you can even pose for a picture. Archangel Cathedral – See the resting place of princes and emperors who use to rule Russia. Annunciation Cathedral – Admire Russia’s greatest icon painters. The Armoury – An audio guide will direct you to the treasures of the Armoury. Tomb of the Unknown Soldier – Visit the tomb to honor the heroes of the Great Patriotic War. St Basil Cathedral is next on the list to experience the Orthodox Church. The Cathedral was built between the year 1555 to 1561. It is to remember the capture of Kazan by Ivan the Terrible. Travelers can come to be immersed by the colors and shapes of the Cathedral. After an amazing tour of the cathedral, it is a must to visit the next spot, Lenin’s Mausoleum. 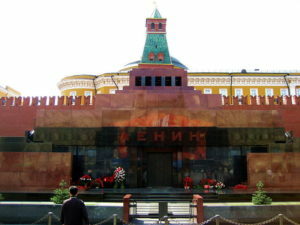 Inside the mausoleum, you will find granite tomb of Vladimir Ilyich. It seems that the mausoleum is the most sacred shrine of Soviet communism. You should spend wisely starting a visit to State Tretyakov Gallery. It housed a world-class collection of Russian art. After touring the place, make move down to Art Muzeon Sculpture Park. This is an open-air sculpture park. After the park, do visit the fun-filled Gorky Park. It is pleasant and peaceful green space to rent bikes or have a small picnic. Is Moscow your dream destination now?